For those looking for dining at an Italian vegetarian restaurant, the Little Italy chain of restaurants perfectly fits the bill. It is India's largest chain of authentic Italian fine dining restaurant with over 25 Italian ‘Ristorante & Bar’ formats across 18 cities in India. What I didn't know was that it started its journey from the city of Pune in 1989 as 'La Pizzeria'. 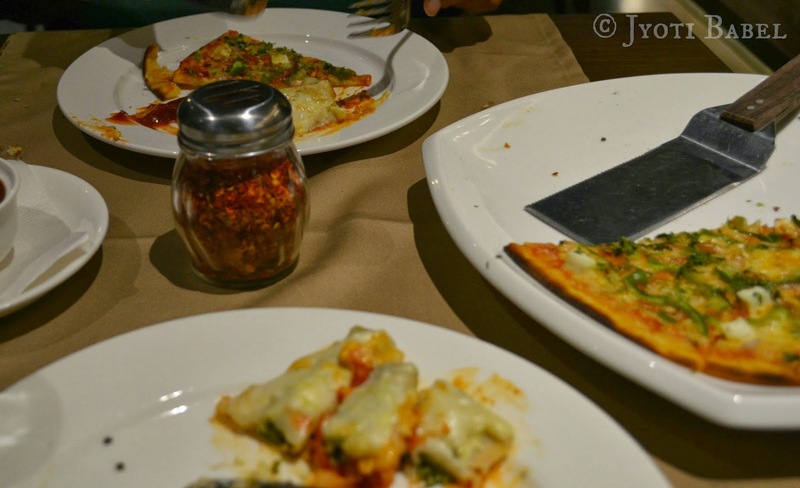 When I got an invitation to sample the menu at the newly opened Little Italy restaurant in Chinchwad and do a review; I was more than happy to oblige. So, I tagged my DH along and went to dine at the restaurant as scheduled over the last weekend. Since the restaurant is not very far away from the place where I live, it took us less than half an hour's drive to reach the place. 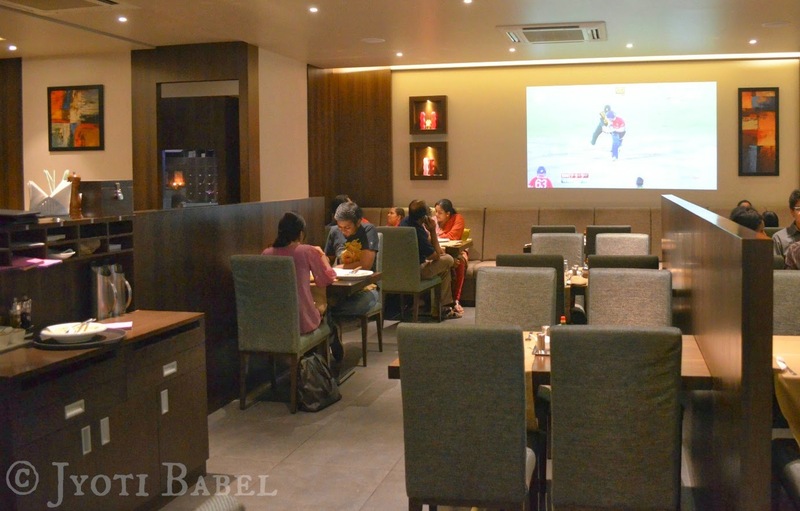 The restaurant is located in a relatively quiet area of Chinchwad. On reaching there we were greeted by the restaurant staff who took us to the designated table. The first thing that caught my attention in the restaurant was the decor. It is minimalist yet elegant, and the quiet atmosphere instantly makes one comfortable. The ambience was perfect and the seating was comfortable. Soon, we were greeted by the enthusiastic restaurant manager - Ganesh, who shared some details about the menu and dishes. He was also thoughtful enough to suggest some of their signature dishes. We decided to start with some mocktails and starters. 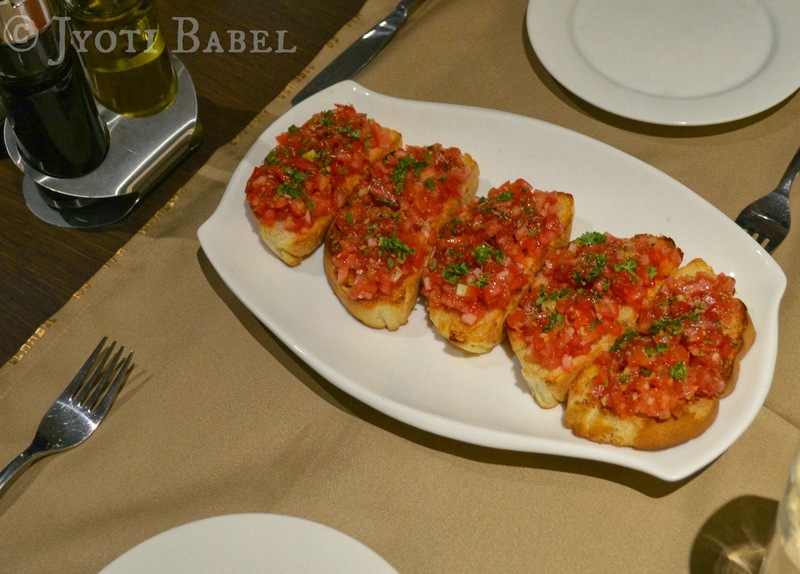 For starters, we ordered Bruschetta Al Pomodoro - which was basically grilled Italian bread slices topped with garlic, fresh chopped tomatoes, olive oil and oregano. The starter was made to perfection. I enjoyed the perfectly grilled bread with a hint of garlic and the juicy chopped tomato on top. 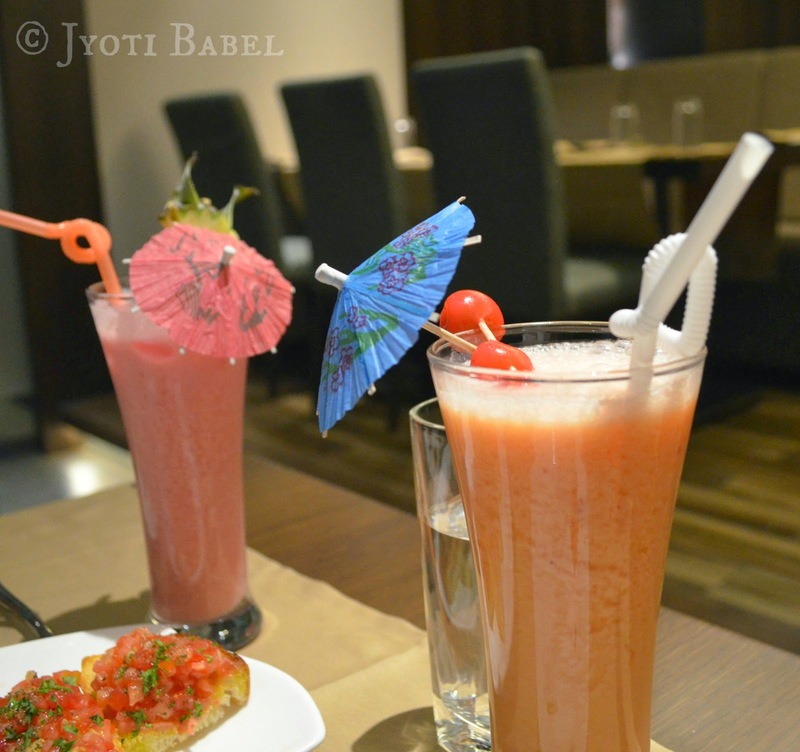 The starter was accompanied by a set of mocktails. I got myself - Fruit Punch - a fruity drink with pineapples, black grapes, apple, pomegranate, orange and lemon, and DH ordered a Lava Flow - a concoction of strawberry, pineapple and coconut cream. They were nice, DH, in particular, liked his Lava Flow. 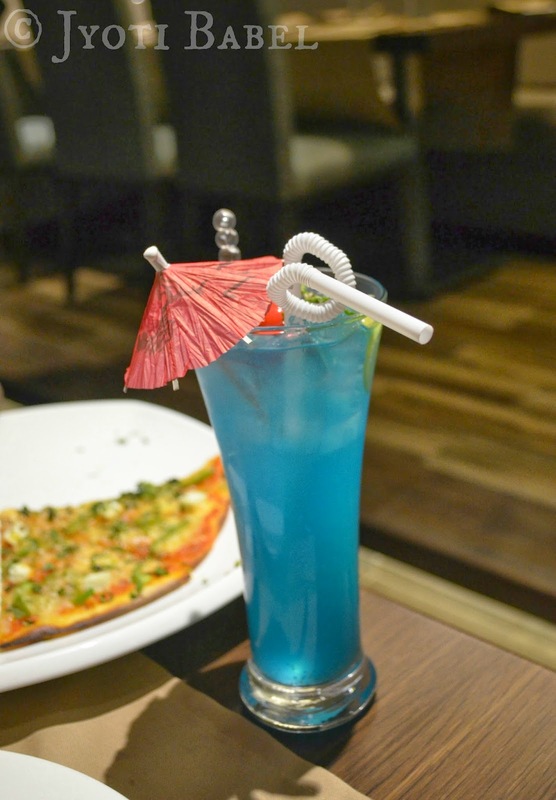 Later, I also ordered a 'Cool Blue', which I quite liked. It has a nice flavour of Blue Curacao and a subtle lemony flavour which was refreshing. Next dish we ordered was a salad - 'Insalata Mista'. It was basically a light salad comprising of fresh tomatoes, cucumber, lettuce, oregano, mozzarella cheese, olives seasoned with extra virgin oil and balsamic vinegar. The salad was average. I felt there were too much of lettuce leaves and less of the tomatoes and cucumber. So, after a few spoons, I was left with just lettuce leaves on my plate. However, it was seasoned perfectly with the olive oil and balsamic vinegar. 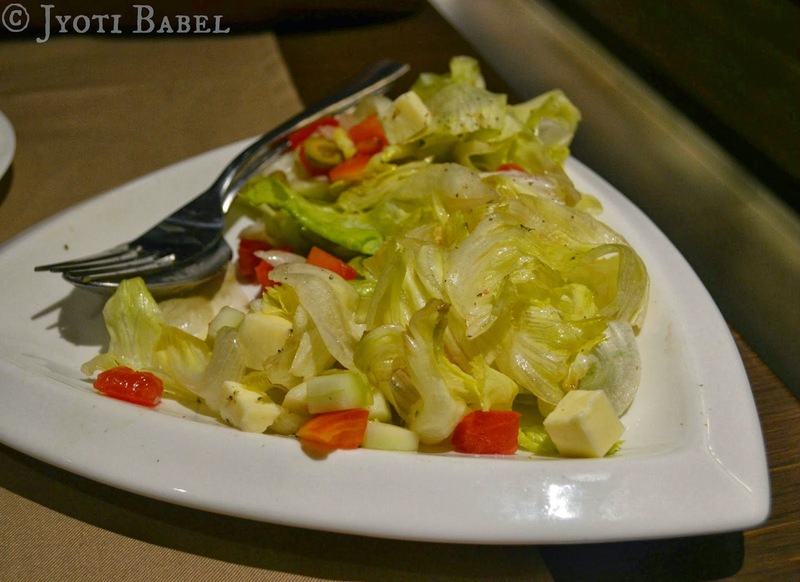 If you are overly fond of lettuce, you might like it a lot. But, for me - I will order some other salad next time. For the main course, we ordered a "Wood Burn Pizza - Fantasy". 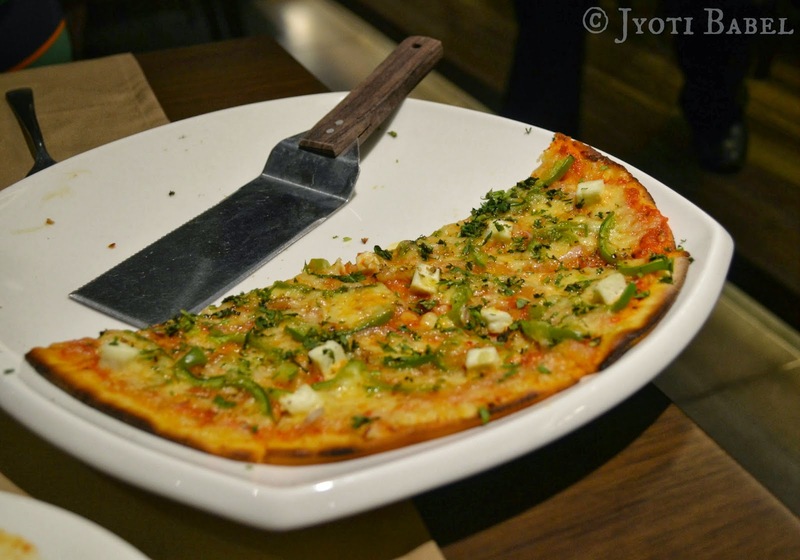 If you are a fan of thin crust pizzas, you will like them instantly. It had spicy tomato sauce with Italian herbs, onions, capsicum, cottage cheese, coriander and mozzarella and was perfectly seasoned. 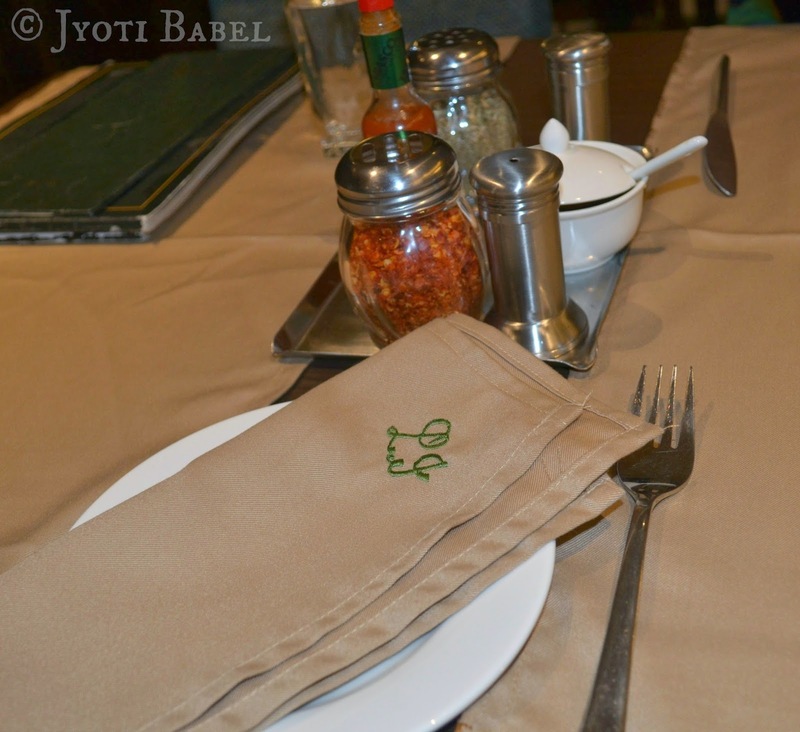 A must try if you plan to dine in Little Italy Restaurant, Chinchwad. Along with that we also ordered a 'Cannelloni Alla Florentina' which the menu said was a traditional dish from Florence. It comprised of tubes of home-made pasta filled with ricotta cheese, spinach, mozzarella, basil and tomato sauce baked in the oven. It was perfectly made and had a melt in your mouth texture. I was so engrossed in eating that I almost forgot to click a picture of this dish. And when I remembered, it was kind of too late. You can see part of that dish on the plate below. I know it doesn't look appealing here, but it tasted awesome. The variety of dishes in the restaurant menu was just mind-boggling, to the point that it can get confusing. I couldn't believe that one could have so many authentic vegetarian Italian dishes to choose from in a restaurant. If you are visiting this restaurant for the first time, a little help from the staff in placing the order will definitely help. The portion size of all the dishes is generous. In most cases, one dishes can easily serve at least 2 people. Overall, I was happy with the two main course dishes we had ordered. Now, it was time for dessert. I am very much a dessert person. However, by this time we were so full that we settled for only one dessert! The manager - Ganesh suggested us to go for their signature dish - 'Chocolate Bomb' and we ordered that. A mini molten lava cake with a large scoop of vanilla ice cream - one bite of it and you will be transported to a chocolate-y heaven. The dessert was decadent, to say the least. 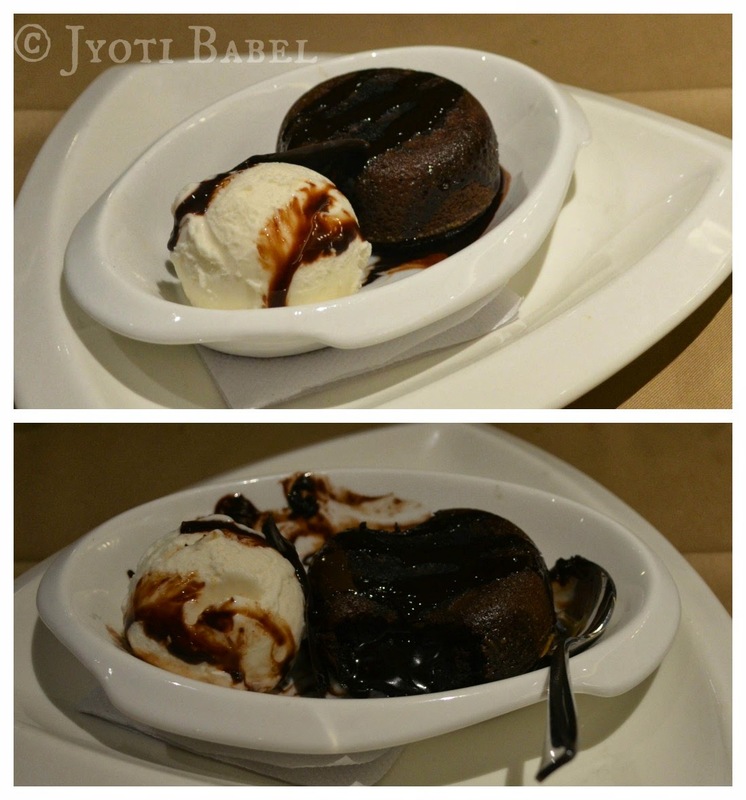 ( I must admit here that I absolutely love chocolate cakes and brownies, so, its no wonder I loved this dessert). If there was only one thing that I would have to order at this restaurant, it would be this Chocolate Bomb. This dish was the show stealer! 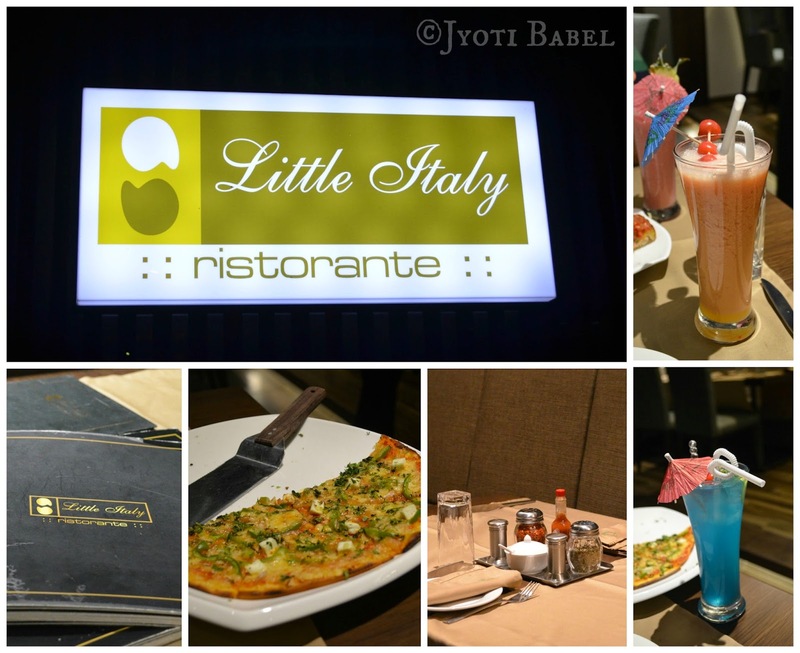 Overall, I had a great experience at the Little Italy Restaurant, Chinchwad. The restaurant caters to food lovers looking for fresh, authentic, Italian vegetarian cuisine and it does a very good job at it. Highly recommended to all Italian food enthusiasts in Pune. It is so vegetarian, that even my Mum liked the restaurant (she visits only vegetarian restaurant). I will recommend it to everyone. Thanks for the lovely photographs... I am sure you had a great time Jyoti.